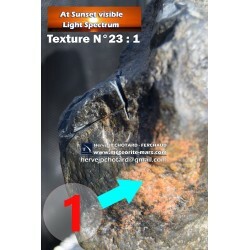 The NWA 8694 Chassignite is for sale from the source! 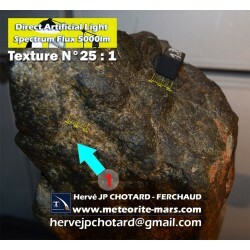 I acquired in 2014 a little 54.8 g stone that turn to the third martian meteorite of this type. 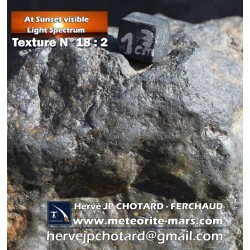 The Chassigny meteorite, the type name, fell in Chassigny, Haute Marne, France, on October 3, 1815. 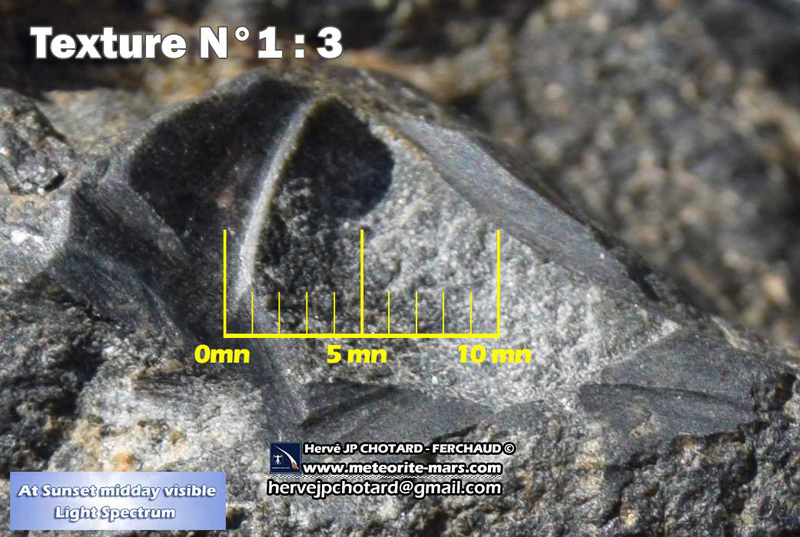 Petrography and classification: (Roger Hewins, Sylvain Pont, Brigitte Zanda, MNHNP) This meteorite is a cumulate dunite with 85% highly fractured olivine, classified as a chassignite. 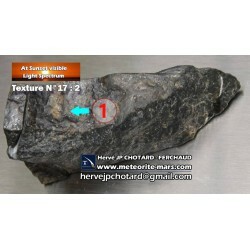 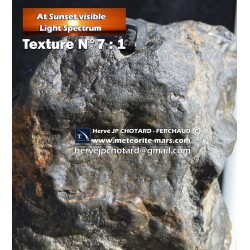 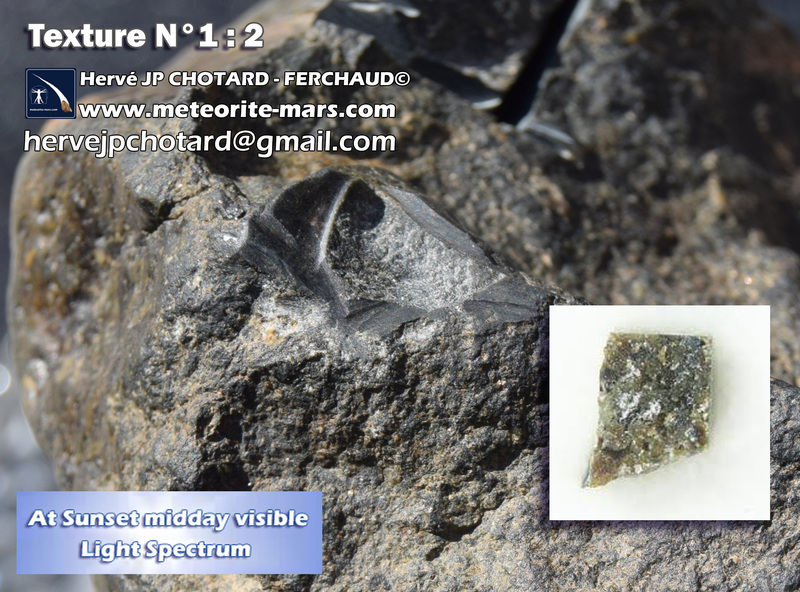 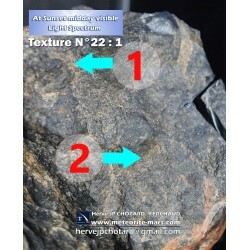 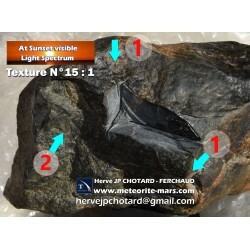 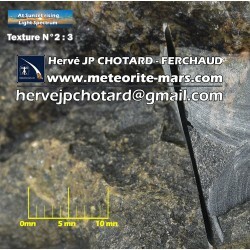 Comparative texture with the NWA2737 and the new meteorite-Mar Chizé aquitaine. 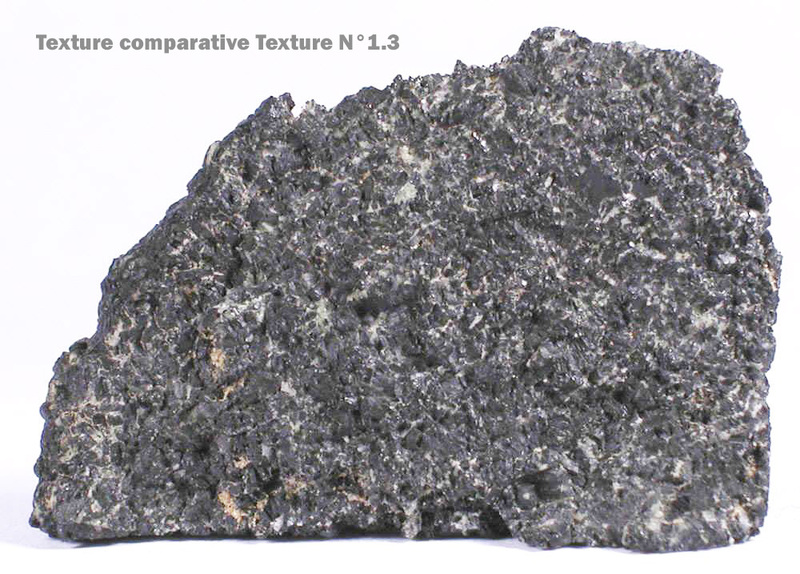 This weighs 7.02 grams and measures 31.7 mm by 21.4 mm by 8.8 mm thick. 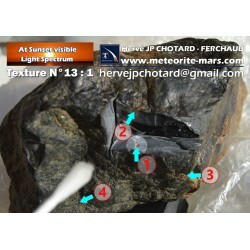 All measurements taken at widest point. 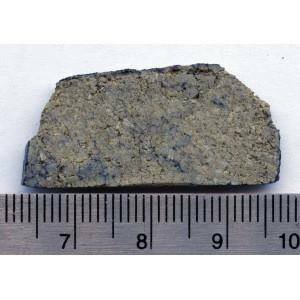 History: In August 2000, meteorite collectors discovered a stone fragmented into nine pieces (308 g, 128 g, 74 g, 47 g, 38 g, 6.4 g, 3.3 g, 2.0 g, and 4.3 g for a total mass of 611 g ) in the western part of the Sahara. 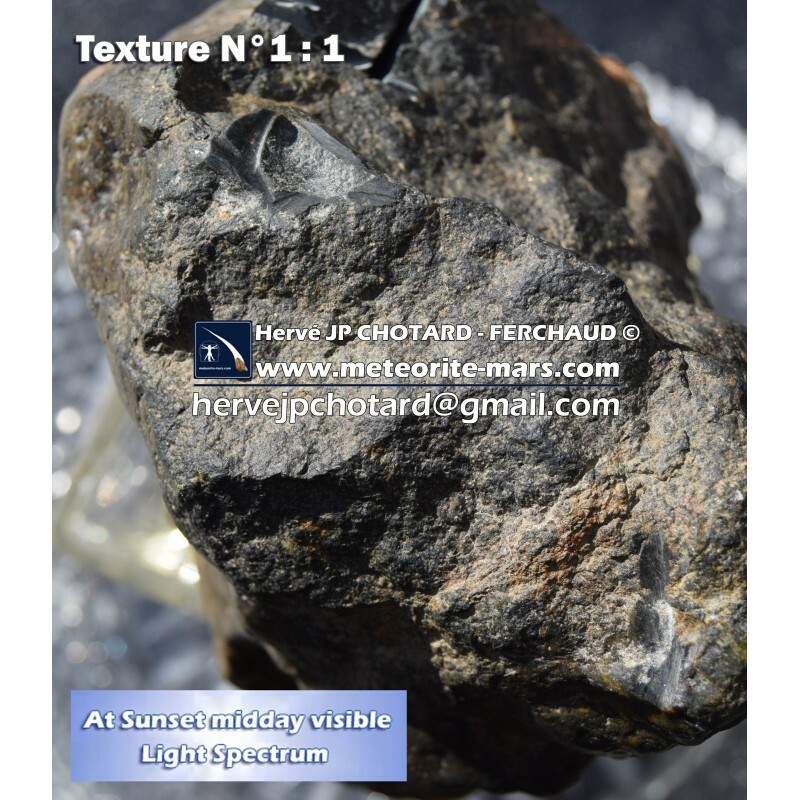 Petrography and Geochemistry: (P. Beck, Ph.Gillet, B. Reynard, B. van de Moortele, ENSL, JA Barrat, M. Bohn, I. 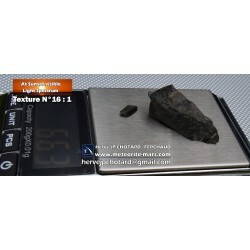 Cotton, UBO) Olivine (Fo78.2-79.1; Mn / Fe = 0.018; ~ 89.6 vol%), chromite (4.6 vol%), low-Ca pyroxene (En78.5Wo2.7Fs18.8 to En76.6Wo3.2Fs20.2), high-Ca pyroxenes (En73.5Wo8.0Fs18.5 to En64.0Wo22.1Fs13.9; Mn / Fe 0.030 [total of low- and high-Ca pyroxene ~ 4.1 vol%]), and sanidine glass (~ 1.6 vol%) with traces of apatite. 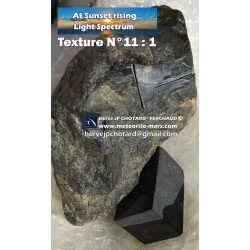 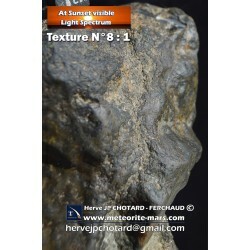 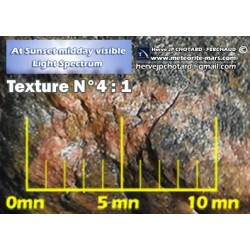 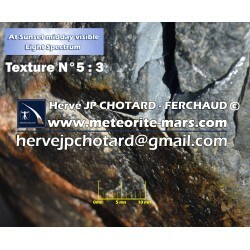 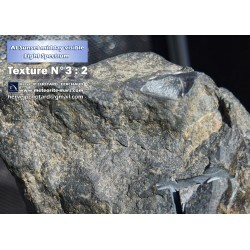 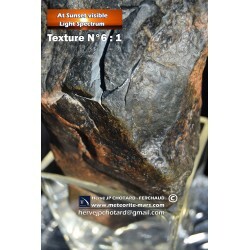 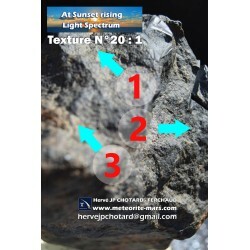 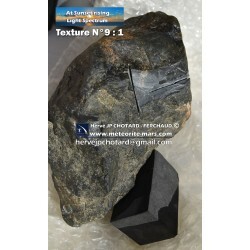 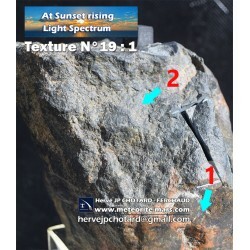 The texture is that of a cumulate dominated by mm-size anhedral to subhedral olivine crystals, sometimes poikilitically enclosed in augite (En54.6Wo32.8Fs12.6 to En46.7Wo44.1Fs9.2). 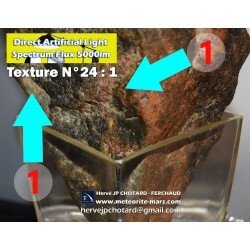 Oxygen isotopes: (I. Franchi, R. Greenwood, OR) d170 = 2.40, d18O = 4.02,? 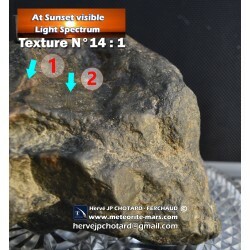 170 = 0.315; d170 = 2.30, d18O = 3.85,? 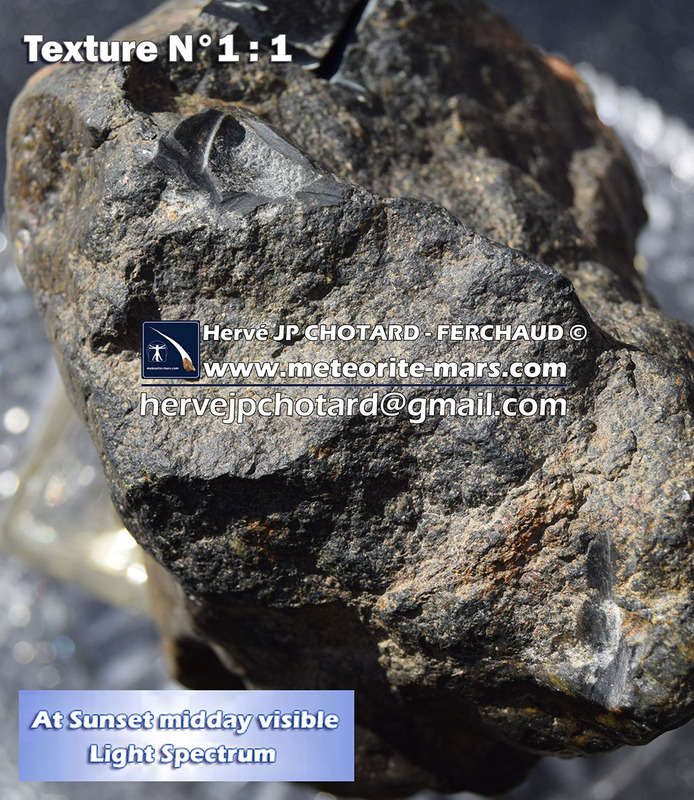 17O = 0.295 (all ‰, n = 2). 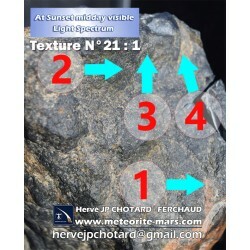 Furthermore, NWA 2737 displays trace element abundances similar to Chassigny. 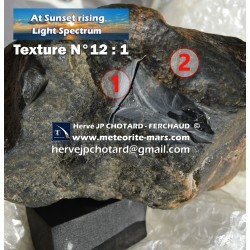 For example, its REE pattern resembles that of Chassigny but with a more pronounced LREE enrichment.